Posted on Thursday, June 28th, 2018 at 4:42 pm. We’ve put together a few of our favorite healthy recipes for summer. 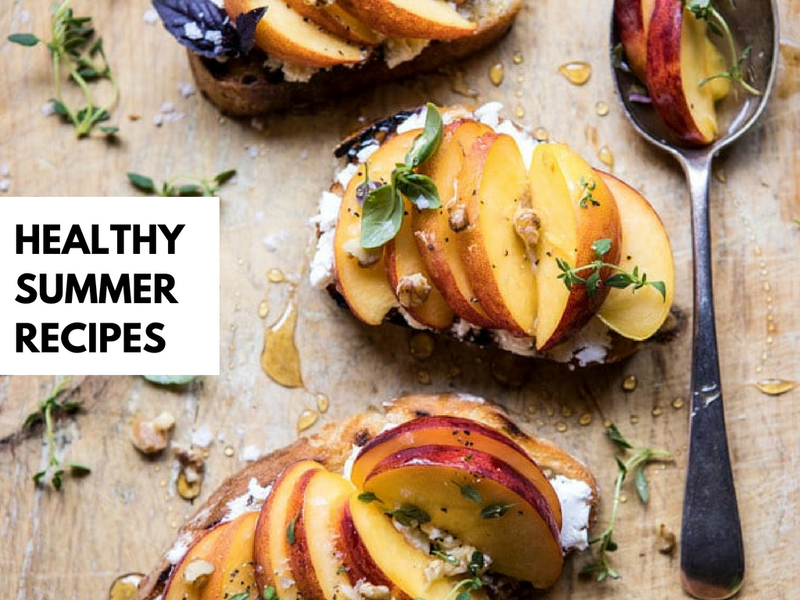 These dishes are stocked with summer produce, loaded with flavor and feature heart-healthy extra virgin olive oil. This recipe comes from one of our favorite bloggers, Smitten Kitchen, who adapted this recipe from the cookbook Saladish. We love the use of ricotta salata in place of feta and the touch pepitas for crunch! 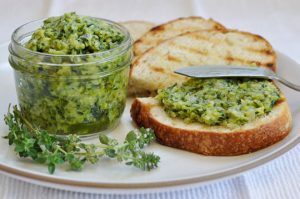 Try this with your favorite EVOO or for extra flavor try Meyer Lemon or Fresh Jalapeno Olive Oils. Get the recipe here. This recipe was slightly adapted from Half Baked Harvest and we cannot get enough of it!! 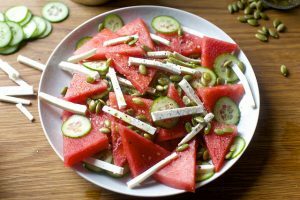 This super summery combination of flavors makes a delicious appetizer, but we’d be happy to eat a plate of these with a glass of wine for dinner. 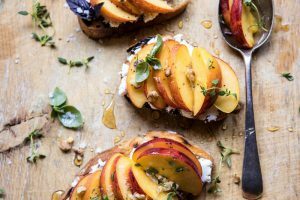 Our version uses our Fresh Basil Olive Oil and Peach White Balsamic Vinegar but you can experiment with your favorite EVOO and balsamic vinegar. Get the recipe here. We adapted this recipe from How Sweet Eats and could honestly eat this for breakfast, lunch and dinner. Check out the original recipe which has a delicious herb drizzle that we replace with our Fresh Basil Olive Oil to save some time. 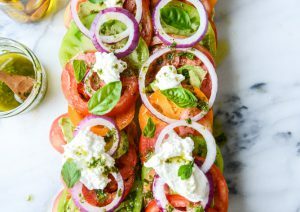 It is the perfect way to eat peak season heirloom tomatoes and avocado toast at the same time. Get the recipe here. This delicious butter actually contains no butter at all, but it might become your new favorite spread for toast! This is a perfect way to use the abundance of zucchini coming from your garden. Just pair it with your favorite EVOO, we like Arbequina in this one, but you can experiment! Get the recipe here.